Haze is one of the main environmental issues faced by all Malaysians and sadly, it has returned with a vengeance this time. 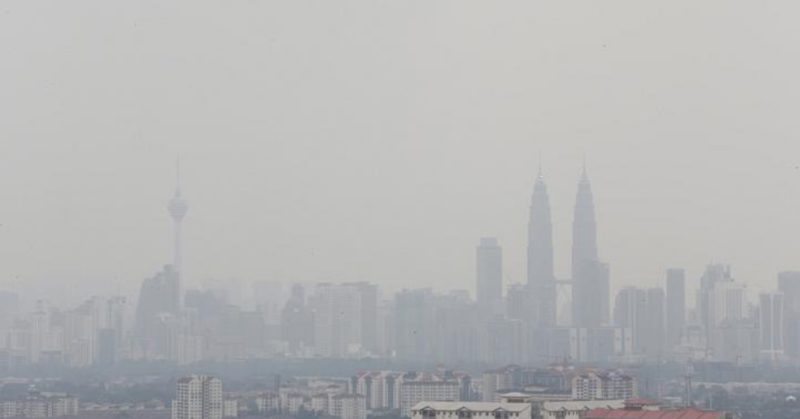 As of 4pm today, the air pollutant index (API) in three areas recorded unhealthy readings namely Rompin (176), Shah Alam (109), and Banting (104). Every announcement regarding to the haze situation will be reported at the website, and you can always track the API hourly table on the website to keep a close watch about the haze condition in your area. It’s best advised to stay indoors when the haze is happening, especially if the readings of air quality index in your living area exceeds 101 to 200 as unhealthy, 201 to 300 as very unhealthy and 300 and above as hazardous. Take this time to revisit activities you never had the time for, like reading, de-cluttering your room or knitting. No, we don’t mean Innisfree or the Self Love Honey Mask. We’re talking about surgical-type face mask to protect yourself from getting exposure to the haze pollutants in the air is also very important. The haze phenomenon will bring hotter and drier weather, so it’s best to ensure that we drink adequate amounts of water to stay hydrated at all times. Air purifier or air cleaner can help to remove contaminants and pollutants from the air in a room and keep the air fresh and clean. Do remember to shut all the windows and doors to make sure the clean air circulation is regulated only within your house. Stay safe and healthy during the haze period everyone!